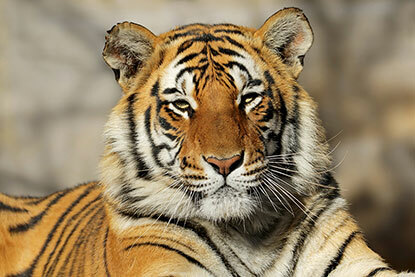 This week at Cats Protection is Big Cat Week where we’re talking all things big cat! We’re calling on animal lovers and adventure-seekers to take part in a once-in-a-lifetime challenge in India, with all sponsorship going towards helping unwanted cats in our care. The challenge takes place from 7-19 October 2017 and includes a challenging four-day trek across the Lesser Himalayan Range, trekking for up to 14km (taking around eight or nine hours) a day and camping in the wilderness. Participants will then spend three days at the Kanha National Park learning about and taking part in a range of activities and conservation work, especially for tigers. Depart London for Delhi on an overnight flight. Upon arrival the next day, we’ll transfer to a central hotel to relax and freshen-up. After lunch we’ll enjoy a sightseeing tour of Delhi before transferring to the railway station for the overnight sleeper train to Pathankot. Arrive in Pathankot in the morning and transfer to Dharamshala. On arrival in the home of the Dalai Lama, we’ll check in at the hotel and enjoy the rest of the day at our leisure. Visit the Dalai Lama Palace and the Tibetan government-in-exile buildings, or simply enjoy the atmosphere and browse for souvenirs in the handicraft stalls before enjoying a Tibetan dinner in the evening. After breakfast we will take a short transfer to our starting point, Boh Village. Boh Village is situated on the banks of the Brahal River and our journey there will reward us with spectacular views of the Dhauladhar Mountains. We start with a steep ascent for about two hours and arrive in the remote tribal village of Batuni, where we’ll visit a local family house for refreshments. From Batuni a short walk takes us to our lunch spot, after which we will descend through lush green fields, terraces and woodland to Kanol village where we can set up camp for the night. After experiencing our first night under the stars, we will continue ascending through many charming villages, passing beautiful open meadows and pine forests on the way. We will stop for lunch in a small village called Kareri before continuing through dense forests to the Rawa River and onward to Bahl, our second campsite. We’ll make a steep ascent through mixed forests of oak, cedar and rhododendrons which takes us up to Triund, the highest point on our trek at 2,843m. This alpine meadow situated on top of a ridge from where there are incredible views of the Dhauladhar peaks on one side and the Kangra valley on the other: the perfect spot to enjoy the sunset and our final night under canvas. After rising early and watching the spectacular sunrise over the Dhauladhar Mountain Range we can set off down a grassy ridge until we reach the Bhagsu waterfall. 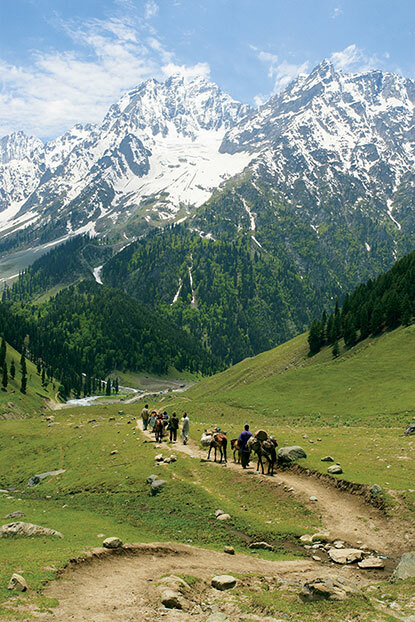 From there we’ll trek down to Bhagsu village to return to Pathankot and take an overnight train to Delhi. Arrive in Delhi and transfer to the airport for the short flight to Jabalpur. On arrival there will be a three-hour drive to reach Chitvan Jungle Lodge, our base for the next four nights. 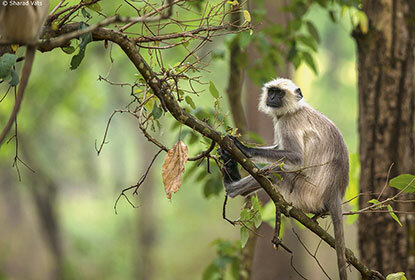 Over the following few days we will spend time in and around the Kanha National Park (Rudyard Kipling’s inspiration for the classic tale The Jungle Book). Keep an eye out for tigers! We complete our activities at Kanha in the morning and return to the airport for our flight back to Delhi. We can then celebrate our achievements with a farewell dinner! Join the conversation and meet others supporting Big Cat Week by using the hashtag #bigcatweek on Twitter.